I’ve had some good questions come out of the silica training sessions I’ve given in the past year. Below are some of the better ones. How often do we need to perform competent person training? There is NOT a specific answer to this question. But, OSHA considers this as a performance standard, so if employees are not performing their “competent person” duties, then you must retrain. I personally think this will vary depending on how often they are engaged in these types of activities, the size of the company and how often you discover gaps. I’ll guess and say every 1-3 years. 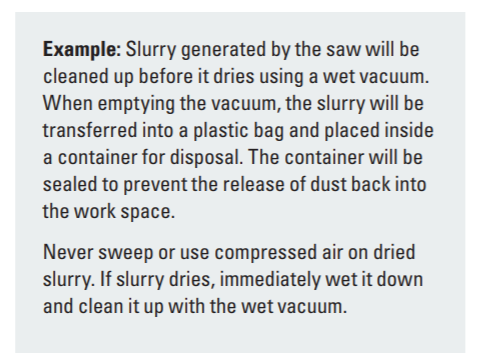 How do you dispose of silica dust, after it is collected in a 99% efficient vacuum? OSHA says not to reintroduce this material into the air. I have explained in classes that if you learn about particulate capture technology, you’ll see that the small (less than 5 micron) size are captured by electrostatically attaching to a larger particle. So, if you are collecting these particulates in a vacuum, they should be attached as a bigger size and dumping it into a bag without making a huge dust cloud is probably adequate. Keep in mind that if you are using a HEPA vacuum for other activities (lead paint, or asbestos) this will have other environmental impacts and cross-contamination (lead=TCLP, asbestos=haz waste disposal). I’d recommend having a silica-only vacuum. How do we make sure the dust is collected adequately? 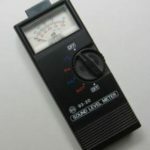 The short answer is, you should perform air sampling. I have performed a very limited amount of air sampling for tasks listed in Table 1, but they have all been below the detection limits. I have heard (not seen results) of some Table 1 tasks that were above recommended protection factors of Table 1. Another answer is that you should be following the manufactures’ instructions on the use of the tool and dust collection. 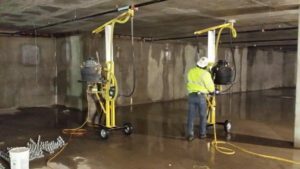 How large should your silica “designated work areas” be when you set these up? I don’t have a straight forward answer to this, but I usually answer it by talking about those individuals who are “engaged” in the task, or not. I also mention there are many variables like; outdoor/indoor, task being performed, wind, etc. 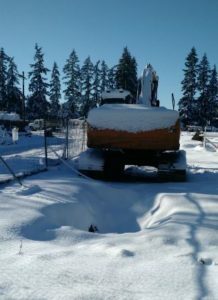 The bottom line is that if you are producing a lot of dust, you probably aren’t controlling the airborne silica, and you need to look at your controls, NOT how large or small your designated work area size. 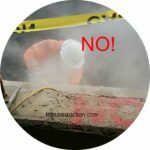 How do I know if my subcontractors are performing their silica tasks properly/adequately? This is a tough one because most General Contractor’s (GC) rely on their subs to do the work. However, all GCs must assure their subs are doing it correctly. The short answer is: do you see a dust cloud? If so, they’re doing it wrong. 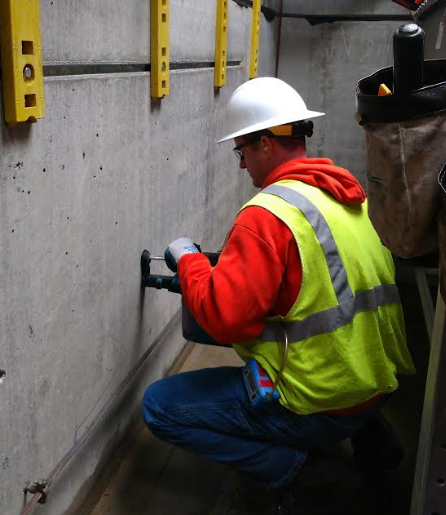 It would be best if all GCs review their subs silica exposure control plan and program prior to starting work. This should include the methods they will be using to control their silica tasks. It would also be beneficial to do job walks to verify subs are following their plan. AND, it would be awesome to catch them doing it right, and give THAT feedback. Only the enforcement of the new silica rule has been delayed until September 23, 2107. 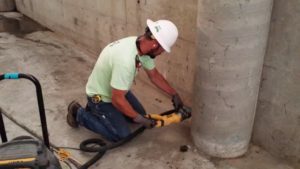 The Federal OSHA silica rule is still being implemented and will take effect on June 23, 2017. OSHA says in their memorandum they are delaying the enforcement because they hope to develop additional guidance materials and train their compliance officers. I suspect that many individual state plan OSHA (like Cal-OSHA, etc) may also delay like Federal OSHA, whether or not they announce it. Train your employees. Both in general awareness & for the competent person. Consider making your own company training video (like this one). Don’t worry, it doesn’t have to be awesome Hollywood cinematography…but having a training which is specific to your company, tools, and activities is best. There is a lot more to the rule, but the above steps are the best place to start. Comments Off on What do you want to hear about? What questions do you have? What would be useful? 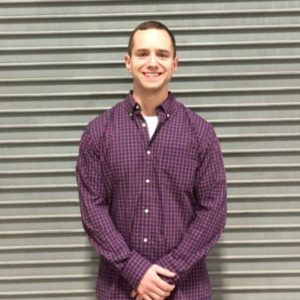 My apologies to Jeremy on my post profiling his website: safetytalkideas.com . My website was compromised and I had to delete his post. At any rate, it is now fixed and I am re-posting his information. I trust it will be useful to many out there. – Thanks Jeremy! Q: How did you get started in safety? I got my safety management degree from Slippery Rock University in 2014. I went on to intern at a Fortune 500 paper manufacturing company. After the internship I took a job in the environmental remediation field and have been with the same company for more than two years now. Q: Tell us about your website. 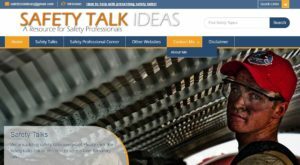 I started safetytalkideas.com last year to push myself to continue to learn as well to provide usable information for other safety professionals. The site allows me to be creative and build something outside of work. I enjoy learning about building businesses and I would like to eventually create my own business within the realm of safety. Q: What has been the most satisfying aspect of the field? I love being part of a team. Our company has been successful in the last two years in achieving zero recordable injuries while working over 1.8 million hours in total. I take pride in playing a small part in reaching our company’s goals as well as our clients. Q: What is the most fun part? I enjoy traveling for work. I am in a project-based business that has required me to live in different states. You experience more than living in one place and I believe it benefits you as a professional in our field to be exposed to many different people and perspectives. Q: What advice do you have for those getting started? I think it is important for recent graduates to realize that their education is just beginning. Be humble, ask a lot of questions, and work hard. OSHA has good (protective) rules on lead in construction (updated in 1993) and they mimic the ACGIH TLVs. We are doing better as a society. For example: no more* leaded gasoline. But, one technical session last year at a conference changed my mind. We have a long ways to go. The point: low levels of lead may have significant health consequences. And, if you have lead (Pb) in your body–it is from a source. If I haven’t convinced you, the CDC is also considering ANOTHER reduction in childhood blood lead levels. In 2012 they reduced the advisory blood lead levels (in children) to 5 ug/dl. Later this month (Jan 17, 2017) they are meeting to consider reducing this level to 3.5 ug/dl! Whether of not they reduce it, the fact they are considering it should further our attention. And, if you think this just applies to industries with heavy lead, think again. It has A LOT to do with construction. We (you) must pinpoint the source of your lead exposure. And, it may not be obvious. Since lead exposure can occur from airborne levels and by ingestion, the sources of lead exposure can vary widely. Blame someone. Just kidding. Find the source of your lead exposure. Before starting a project, know where the lead paint is, and the activities you plan on performing. 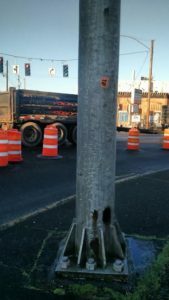 Perform air monitoring (and probably wipe sampling) to verify lead is not escaping from project. At this point, the OSHA silica rules are forthcoming, what should you be doing to prepare? Read the OSHA Small Entity Guide. Initially it is daunting – 103 pages, but much of it is specific to tasks from Table 1 and the full rules are within it, as well. Plus, they have pictures! At this point, it doesn’t appear that the silica rule will be legally blocked. So, now is the time to prepare for all of the coming changes. However, the new administration may have some influence. Federal OSHA has (finally) published their Small Entity Guide (103 pages!) but, no doubt, this will be useful for many. I encouraged people to submit their ideas…and then, I missed the deadline to submit. This project has taken a massive amount of my time, and it is still not completed yet . However, below are the links to the videos for those of you looking for a sneak peek. Please feel free to share…more materials, website upgrades, and ‘giant fan fare’ will be forthcoming. For 100% selfish reasons, I debated about sharing this link. Do you have an awesome idea for noise controls that uses technology? NIOSH would like to hear about it. They make no promises, other than they will keep it a secret. But, this may be an opportunity to make your idea come to fruition. A new idea, SmartSite, which may spark some interest is a wireless health & safety monitoring system for construction sites similar to the residential “Nest” systems. They have a monitoring system set up on a tripod with a laser particle counter and noise level meter. The information is able to measured in real-time. So working people, be challenged! Submit your idea by September 30, 2016. Email me if you do, and I will accept your challenge, and throw mine in the hat with you. Asbestos settlement – a new precedent? 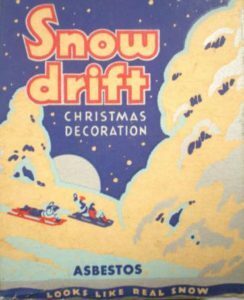 Comments Off on Asbestos settlement – a new precedent? I was recently forwarded an article on a gentleman who won a large sum of money ($8.75 million) for an asbestos related disease. There are many people getting these types of settlements for similar exposures. However, what is interesting, is the attorneys argued the company knew about asbestos in 1965, but the exposure occurred in the 1970’s. Keep in mind, the asbestos rules at OSHA didn’t come out until the 1970s as well. So, exposure occurred before the regulations were in effect. So, they knew of the airborne hazard, but continued to exposure workers before there was a rule. Does this sound like any modern day issue? –hint– silica?! Nowadays with the public being uber-aware of “potential” airborne hazards (mold? ), with information so readily available, with OSHA rules outdated (annotated Z1 tables), and others publishing health standards like ACGIH,….the lesson is: protect your employees. I don’t think we should be arguing about the OSHA rules. Let’s use available information and science. “More Than Just A Number” (article published by AIHA, May 24, 2016). Industrial Hygiene in Construction is powered by	WordPress 5.1 and delivered to you in 0.557 seconds using 38 queries.